Like every blogger and/or twenty-something craft lover in the world, I’m obsessed with fall. Fall has the cutest clothes, the best foods, and the perfect weather: crisp and colorful. But my boyfriend, Ken, is less convinced. It took me about a week into September to find out what he meant. See, back on the east coast, fall is all about leaves and pumpkins, and fun holidays like Halloween and Thanksgiving. But here in the Netherlands, fall is the season of wind and rain, and they don’t even have any holidays to get through. Here, I made an infographic to demonstrate. Are those raindrops or tears on my glasses? You’ll never know. My realization was made worse when I got bronchitis over the weekend. To me, hacking up a lung is enough reason to go to the doctor, but here in the Netherlands, the bar is a little higher. When I called, the doctor told me I would be fine and to call back if I started coughing up blood. As you can see, Dutch life is treating me well. 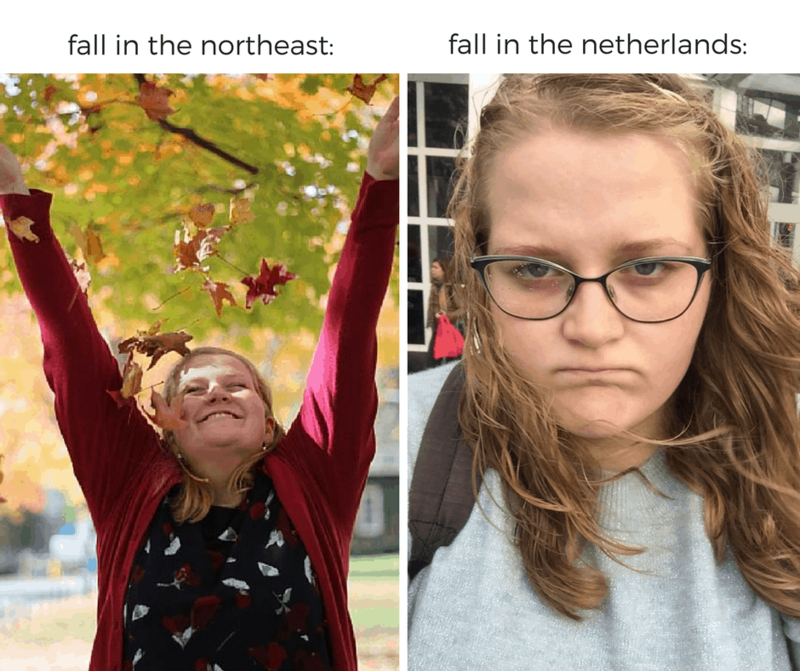 But despite the Netherlands’ greatest efforts, fall is my favorite, and I’m determined to make Ken feel the same. I’ve been baking breads and cookies, making fall decor, and I even hosted an indoor camping night to convince him. But I’ll admit that, considering my cough, yesterday’s attempt was as much for me as it was for him: making homemade apple cider. 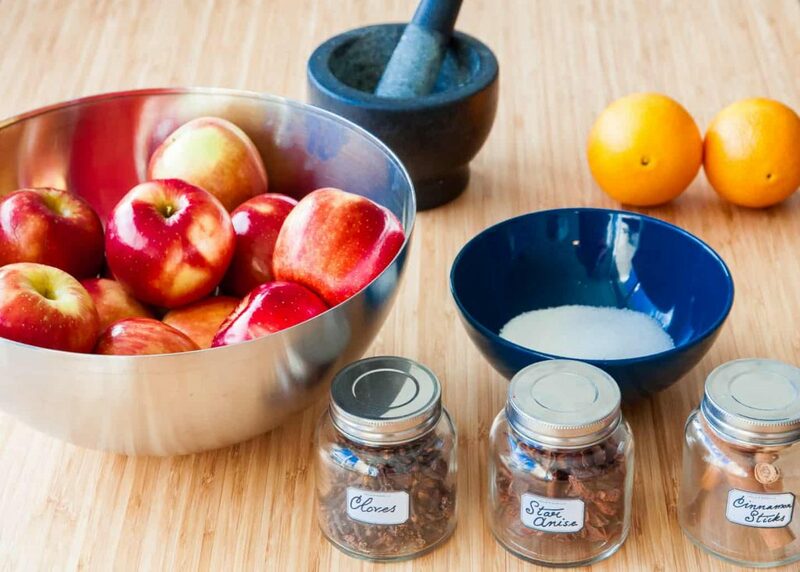 Here’s the recipe I used for how to make apple cider. Optional: 2 star anise pods — this will give a mild licorice-like flavor, so if that’s not your deal, opt out! 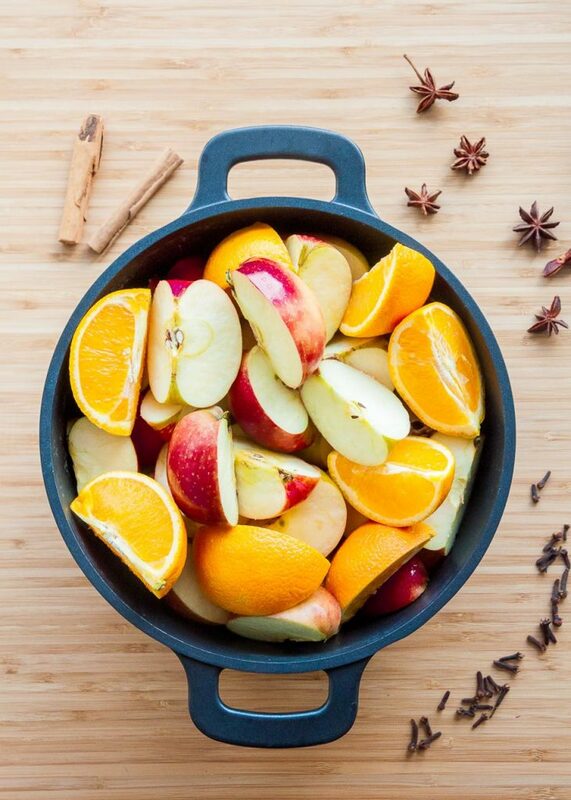 Chop apples and oranges into quarters and put them in a large pot. Add water to the pot until the water is about two inches above the apples and oranges. I found that the apples had a tendency to float, so hold them down as you fill up the pot with water to make sure you get the right amount. Stir in sugar, and add the cinnamon and cloves. Set on the stove and boil for one hour uncovered. 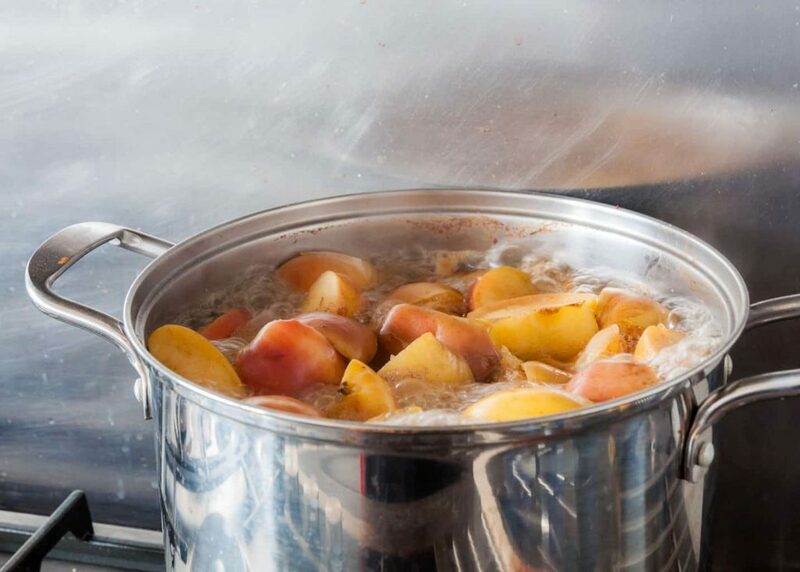 The house will start to smell like apple pie, and you’ll notice that the apples take on a softer, faded color as they cook. Cover the pot and simmer for another two hours. 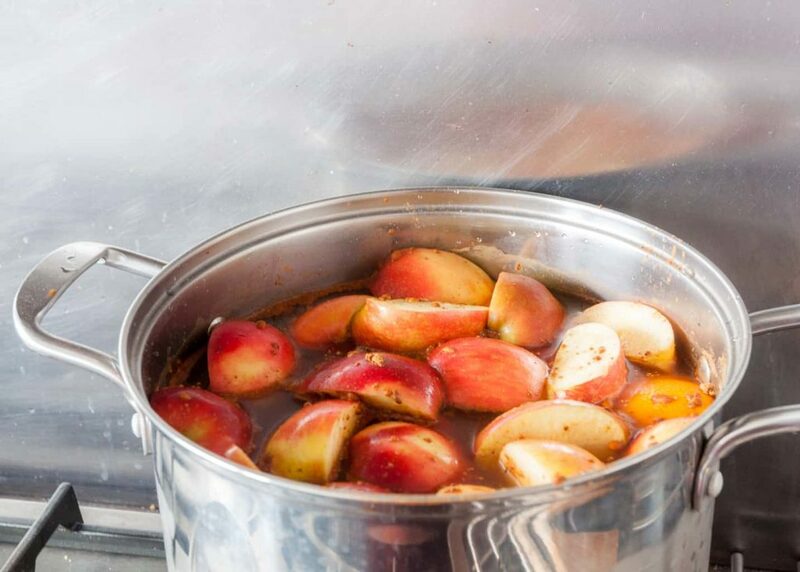 Once the cider is done simmering, turn off the stove. Now it’s time to drain the cider. You’ll do this twice — once to get out the apple and orange slices, and a second time to get out any pulp. The first time around, pour the cider through a sieve or colander into a second container. This may take a while, so feel free to stir the apples and oranges around to speed up the process and get any liquid through. Once the cider has drained, compost or throw away the left over apples and oranges. Now take a clean linen or cheesecloth and line a sieve or colander with it. Pour the cider through. Again, it may take a while for the cider to get through the cloth, especially as pulp starts to build up on the cloth. That’s it! Let the cider cool in the fridge or drink it hot. If you want it sweeter, you can always add more sugar. I hope you enjoyed this recipe — if you use it, please comment below and let me know how it went! And while you’re at it, I’d love to hear your favorite fall recipes or traditions. Help me convince Ken that fall is the best in the comments! This cider looks amazing! I think I will try out your recipe! Feel better. Thanks so much, Casey! Let me know if you do try it! I need to try this! I just made applesauce this past weekend! Oh awesome — what recipe did you use for apple sauce! I really want to try making my own! This looks so yummy! I totally need to try and make some cider this fall. I may need to try this recipe because I also feel like I may be battling a bit of bronchitis. My back hurts from coughing so much! I don’t think I’ve ever tried Apple Cider. I need to make some this season! YUM! I never knew how to make this before , but this looks amazing! OOO I’m saving this to make, I love DIY projects that make my apartment smell good! I’m in Boston and I love how beautiful the city is this time of year! Thank you for sharing this recipe! 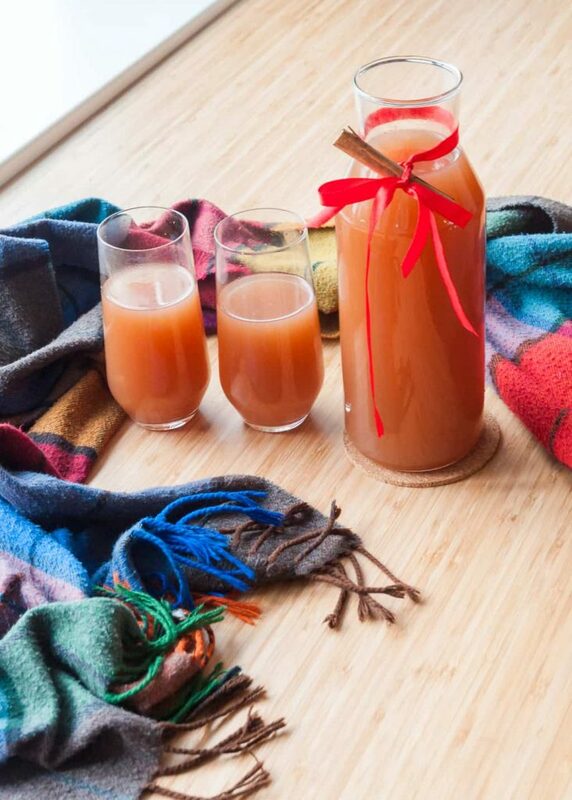 I love apple cider and I will definitely be trying this in the coming weeks. Apple cider is one of my absolute favorite drinks but I hate buying it because it’s always so sugary! I will totally be trying this! I never knew it would be so easy! I’m not normally a cider person, but this looks and sounds so delicious that I will have to try it! Autumn is my favourite season too … Those beautiful colours and, bliss! I love autumnal walks in the crunchy fallen leaves, hot chocolate with marshmallows and pumpkin picking (with my two little ones dressed in Halloween outfits). What autumn decor have you been making? Thanks Estelle! If you’re not normally big on cider, I would leave out the cloves (they can add an aftertaste that some people don’t like) and mix it with water 1:1 to get a lighter flavor. I absolutely love fall walks and pumpkin picking too, but here in the Netherlands it’s much harder to do, as pumpkin patches are not nearly as common as in the northeast, where I grew up. I’ve been working on some DIY fall decor that I’m planning on sharing soon — one is a hanging wall decor, and I’m working on a few things for the mantel. Do you have any recommendations? I’d love to check them out! Yum! I love apple cider! I’ll have to make this! Hi, Sara. My 1st name is Sarah. Fall is my favorite time without bitter cold & ice. I live in MISSISSIPPI, near Tupelo where Elvis was born & lived. 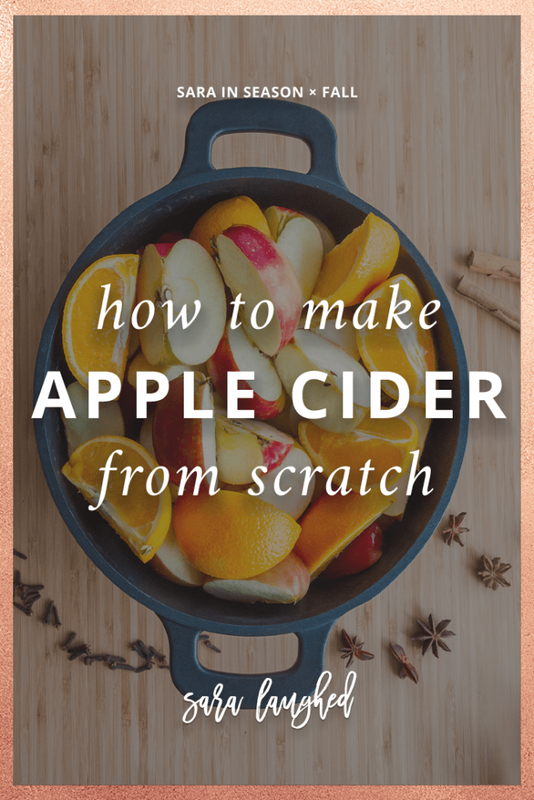 I love all the foods for fall, most I have never tried, but love the looks of what Pinterest has & definitely love cider & will make yours a regular in my tradition & special place in my recipe box. My 2 most favorite recipes are from my mom & her mom, who are not here now. Macaroni & cheese (from pkg of Ronco Elbow Macroni & Candied Sweet Potatoes. I will get recipe for last if you email me direct. You need to bring boyfriend to States, esp Mississippi. P.S.hope to see you in mailbox all the time.